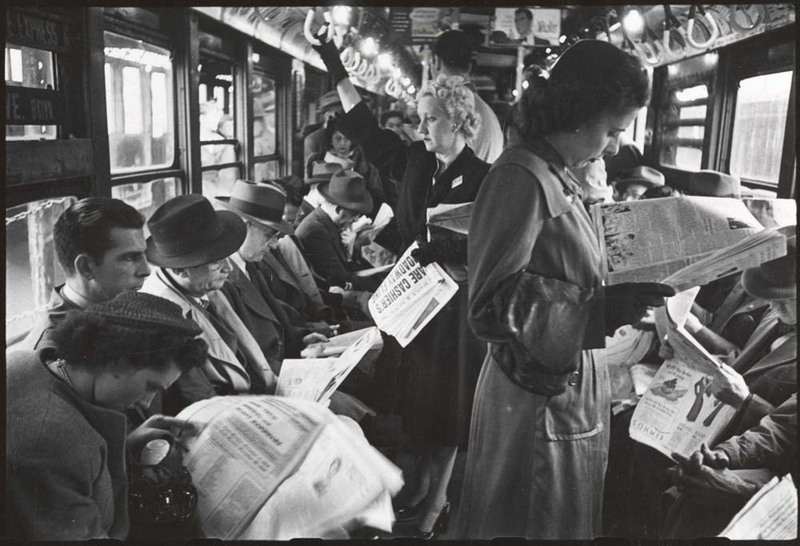 Next time you hear a pundit decry our current “obsession” with media, and how mobile devices and their infernal apps are robbing us of all civil discourse, just think back to this photo. It’s by Stanley Kubrick, of a NYC subway scene in 1946. People were absorbed in the media — and the stories, and the drama, and the narratives — of that era, just as we get engaged with the daily, hourly media narratives of our own. Today, of course, the impulse is the same, yet the means have changed. It’s a good reminder to brands and clients that it really isn’t the form we should be interested in — it’s the content. This is an idea we discuss with our clients all the time. Facebook, Instagram, Pinterest and any number of social and digital platforms are just new ways to deliver content — content that must be relevant and intriguing.